Slime is HUGE with kids these days. What used to be a fun science experiment to show chemical reactions, is now a trend that doesn’t show any sign of slowing down! And what’s not to love about slime?! It’s fun. It’s sensory. It’s slimy. 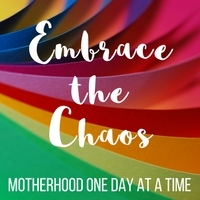 And it’s a great activity for the whole family to get into together. 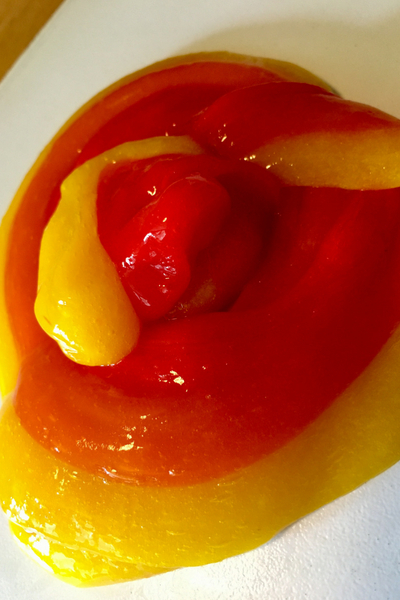 The following is a super simple slime recipe with no funky or scary ingredients- your kids can make it themselves. 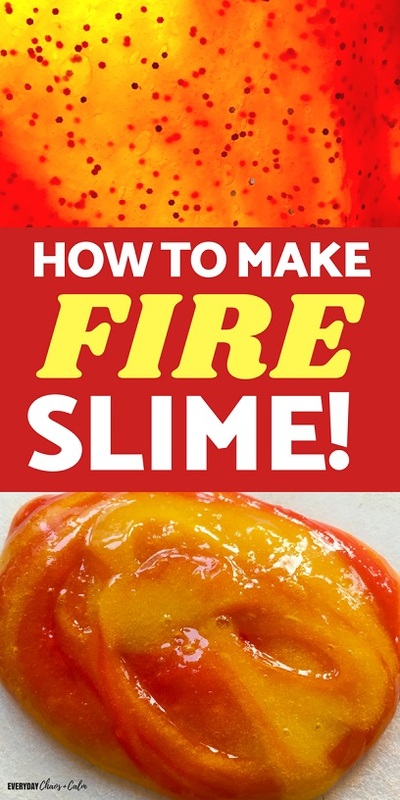 My kids wanted “fire slime” so that’s what it’s called! Years ago when I first made slime with my now teenagers as part of science class, we used borax…which I will be honest, I didn’t really want them doing the mixing and handling of. 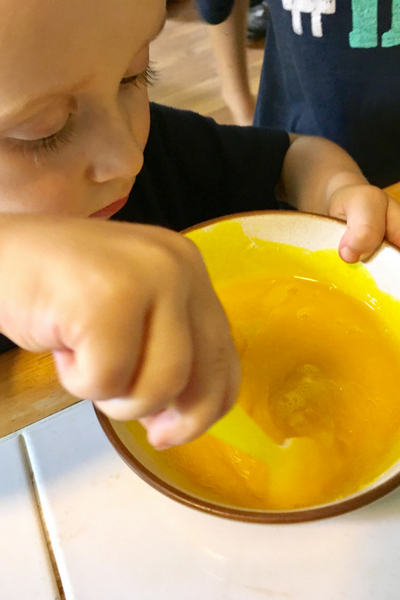 But this slime uses a newer recipe that seems much safer for kids to handle all on their own. 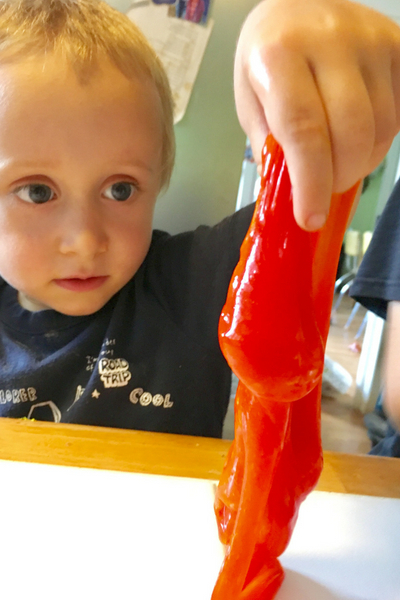 We made this slime with kids ranging from 2 to 12 years old- and everyone had an equally fun time. My 2 year old had a little help in the stirring department from his older brother. You will also need 3 bowls, 3 spoons, and your measuring spoons/cups. 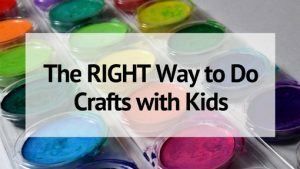 Start by placing 1/2 cup of glue in each of the 3 bowls. Add 1-2 drops of food coloring, one color per bowl. We used paste food colors, you may need a few more drops if you are using liquid colors. Stir in the coloring until it is uniformly mixed. Add in 2 tsp of baking soda into each of the bowls. Again, stir well until the baking soda is all mixed in. Finally add in 1 T of the contact solution into each of the bowls and stir. Your mixture should almost immediately turn to a solid mass! Keep stirring to mix in as much of the solution as you can, then switch to your hands. Knead the slime until it is smooth and no longer sticky. Moving your hands quickly as you knead will prevent them from sticking too much. 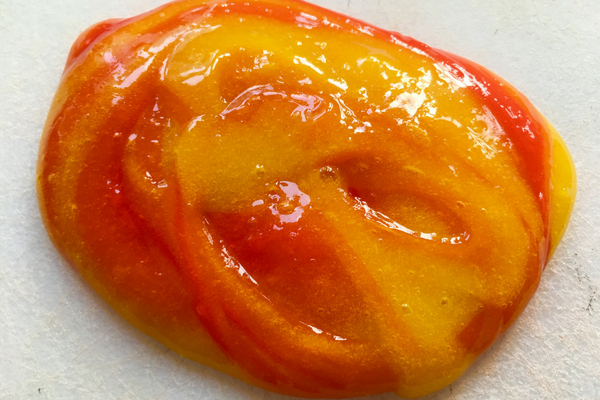 You can also sprinkle a tiny bit more baking soda on your slime, don’t over do it though, or it might get tough. Now you should have 3 colors of slime- red, yellow, and orange. Now it’s time to mix! I was working with 4 kids, so we divided each of the balls into 4ths and gave each person one ball of each color. Roll each color into a snake and lay them side by side. Pick them all up and hold from one end above your surface, allowing the slime to pull and stretch with gravity. With each new mix your colors will mix more and more so that it looks more shimmery and fiery! Now just let them have fun! Kneading and stretching is great stress relief! See how long your slime can stretch. How thin can you stretch the slime? Thin enough to blow a bubble in? Have your child observe how it holds it’s shape. How quickly it takes the shape of a new container or how quickly things like hand prints disappear. 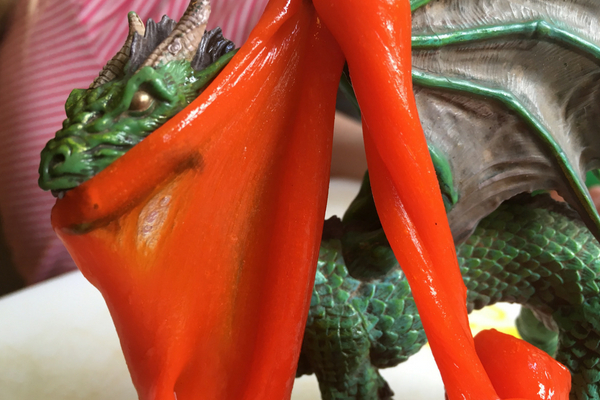 And don’t forget- this is fire slime- so there’s got to be some fire breathing dragons and mighty knights that make an appearance! 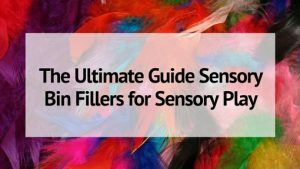 Want more sensory science fun? 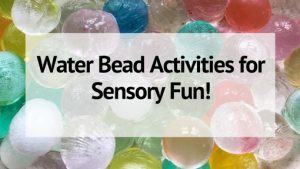 Try making this mess-free Oil and Water Sensory Bag!